I hit my goal of 5200 miles on the bike (100 miles per week). 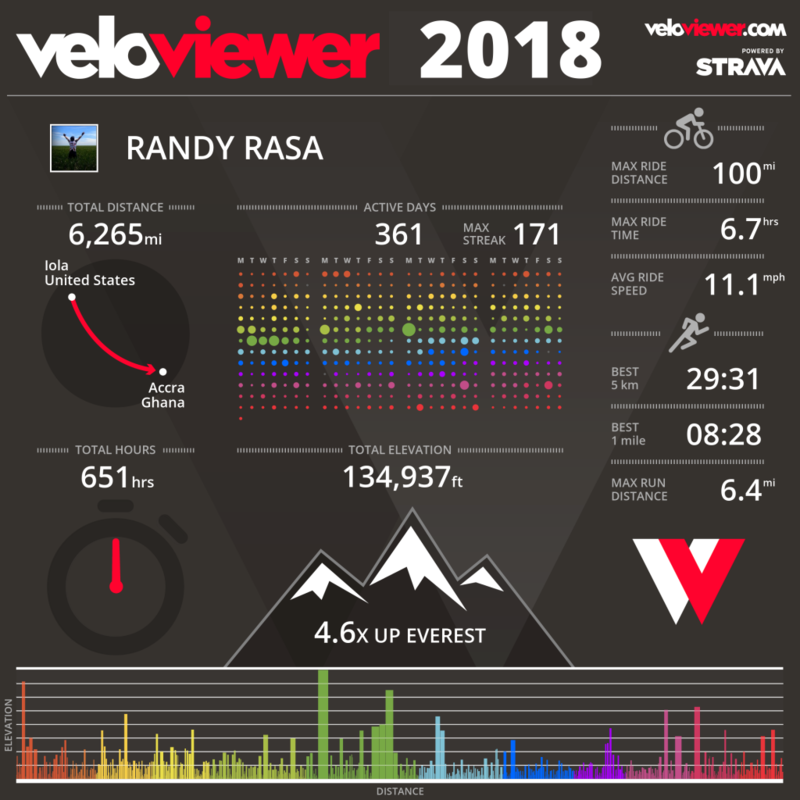 With no big tours, my overall mileage was down a bit from recent years, but I got to ride most every day, Bike miles were split pretty evenly between the Retrospec Amok (1862), Diamondback Response XE29 (1708), and the Nashbar 4050 (1523), with the new Salsa Journeyman getting a good chunk at the end of the year (524). Walking was mostly trail maintenance work, walking behind a mower or sprayer. Speaking of trail work, I logged 677 hours at Lehigh Portland Trails in 2018, in a mixture of trail-building, trail maintenance, and habitat restoration. It’s rewarding work, and I’m privileged to be able to contribute to our local trail system. On the data-tracking front, I also enjoyed FetchEveryone, a wonderful online community, mostly focused on running, but works great for cycling, too. For 2019, the goals are pretty much the same: 5200 miles on the bike, and 365 running. Active every day, one way or another. Hopefully some bike touring and/or bikepacking!